The many advantages which a first class, drug store constantly holds out to the public, can never, under any circumstances be too highly estimated, and singularly favored is that community where such an establishment flourishes. This observation is suggested by the well stocked drug store of Dr. J. P. Cowdin, where fresh and pure drugs and chemicals can be secured and where, too, there is both pronounced skill and thorough knowledge exercised in the compounding and dispensing of medicines. The stock comprises a complete line of toilet articles, perfumes, soaps, patent medicines, surgical dressing and appliances, paints, oils and varnishes. The owner, Dr. J. P. Cowdin, has conducted this business for seventeen years, during which time, a reputation for reliability has been built up, likewise an established trade. Dr. Cowdin was born in Morgan county, near Jacksonville and followed farm pursuits until he reached the age of twenty years. In response to the nation’s call for volunteers he abandoned the plow and joining Co. A, 68th Ill., became an active participant in the battles of the rebellion. He served continuously as a soldier from 1861 until 1864, being honorably discharged in September of that year. The occupation of civil life became a matter of serious consideration and he elected to follow the profession of medicine, and accordingly became a student of the Rush Medical College and graduated in February, 1868. Dr. Cowdin began his professional life in Illiopolis, and, for the succeeding thirty years, night and day, in all kinds of weather, and suffering the trials and privations of impassable roads and sparsely settled country, he ministered to the sick of the community. Being obliged to take possession of a drug store as security for a loan, his time became solely occupied in its management and by degrees he gave up the practice of medicine. 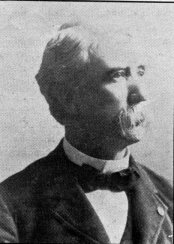 During his thirty-two years residence in Illiopolis, Dr. Cowdin has witnessed and contributed to the conditions which have worked out a complete transformation and have made Sangamon County famous for the volume of its productions, the fertility of its soil, and the prosperity of its people. Dr. Cowdin has received many evidences of personal esteem and popularity. He has served as village trustee and as president of that board also as township tax collector. In fraternal affairs he is an earnest and active participant, being a Mason, High Priest of the Chapter in the K. of P. and adjutant in the G. A. R. In professional business and civil life, Dr. Cowdin’s career has been such as always merited popular confidence and universal esteem.